If you're an avid reader of mine first of all, thank you! And secondly, you will know that I was given some travel exclusives recently to have a play with. Here is my review of the second half. I'm really proud of my pictures here, I hope you like them! Catch up with Part 1 here. How cute are these? I absolutely love the packaging. The four 4ml bottles come in their own little box, inside the big box. They definitely are handy for going away travelling, as they are below the 100ml limit. I actually took one home with me over the Christmas holidays, saved me a lot of packing space! 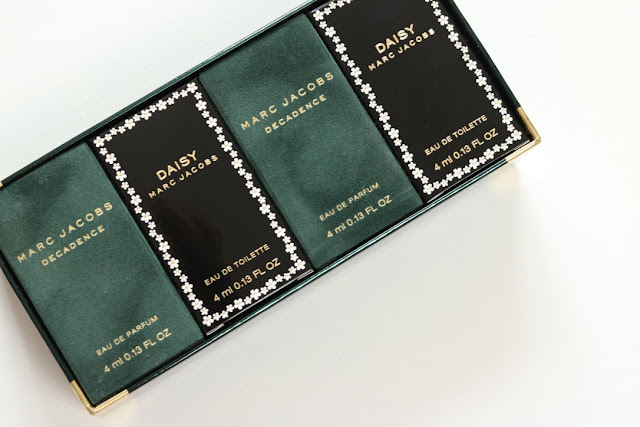 It does help that the Marc Jacobs scents are an absolute delight as well. 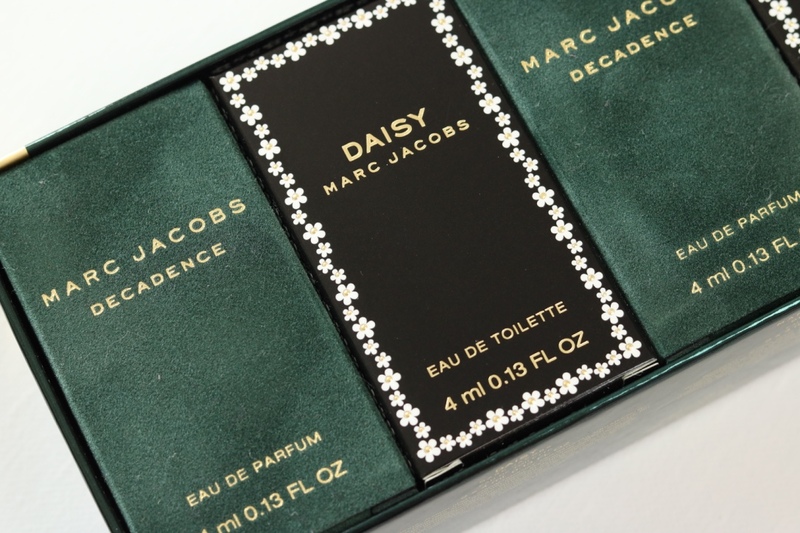 For some reason, I never owned Daisy by Marc Jacobs. I used to have Daisy Dream and loved that one though. 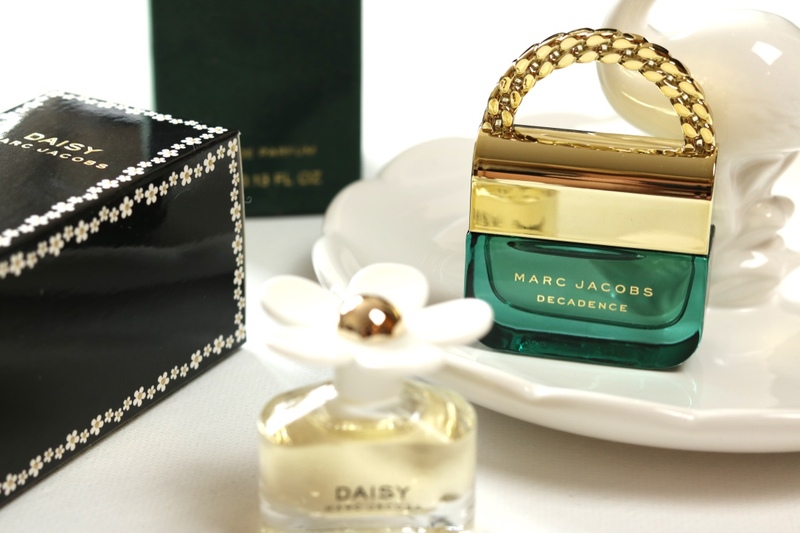 Daisy is a bit stronger than Daisy Dream, and it really is lovely. It's a very classic floral scent, I'm really looking forward to getting a lot of use out of it when Spring comes around. I adore the little daisy design of the lid as well, very cute. 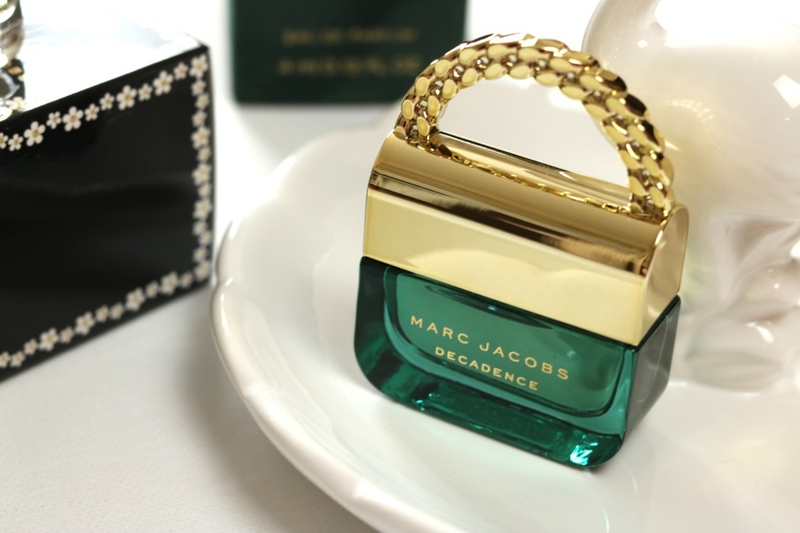 Decadence is a perfume that I've been eyeing up since its release. I absolutely love the design of the bottle. This travel exclusive is just a cuter version of the original, the little handle gets me every time! 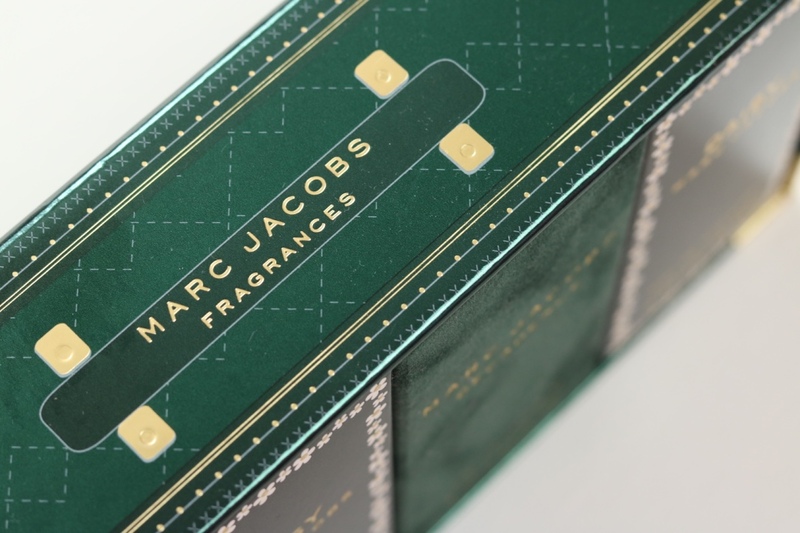 The box the travel exclusive comes in has a velvet feel to it, which is not entirely important - but it does add that little bit extra to a product. Especially if it is being given as a gift! The scent is really nice, I was really loving it over Christmas and I had many compliments! It's a very woody but sweet scent. I really am a huge fan of this and I'm thinking of getting the full size one when these minis run out! I have to admit, I have had a little bit less use out of this than the other travel exclusives. I am absolutely useless at doing my nails! They always chip within a day and I always get pen all over them, so I never really bother. But I did make an effort with these nail varnishes, as the colours were so beaut! 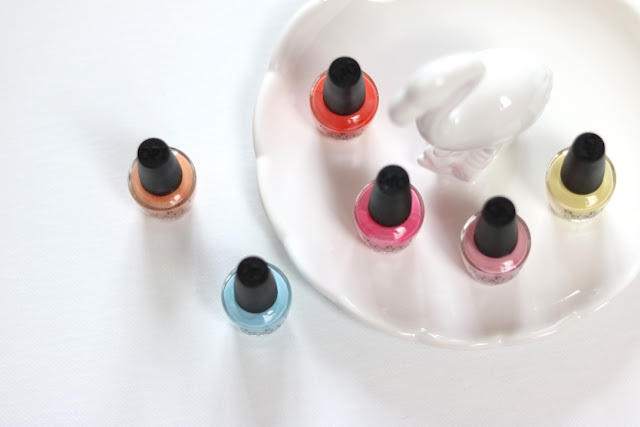 The colours were perfect for Summer, and I am excited to try and get some use out of them in Spring again. Pastel colours are definitely the rage at the moment, I can definitely get away with pastel blue or yellow nails! I really like the light pink nail varnish, I often pop that on my toe nails and it lasts FOREVER. I found that the nail varnish lasted me a few days on my normal nails before chipping slightly. 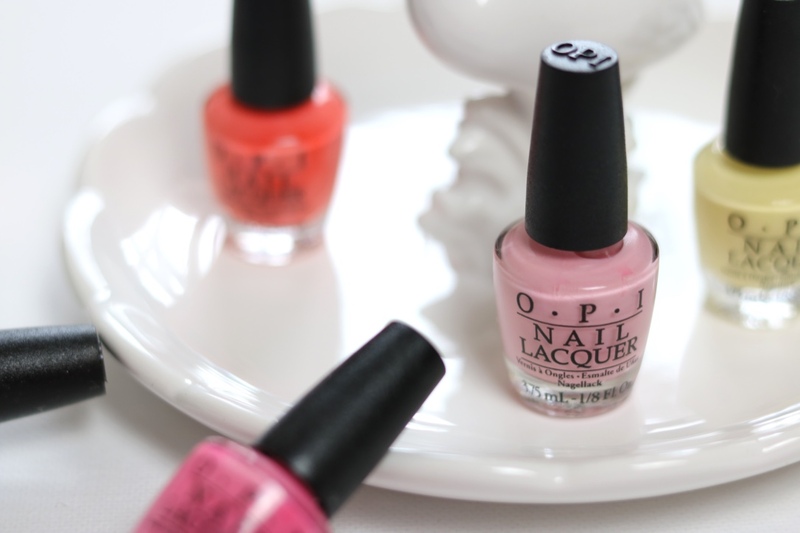 I'm fairly certain my nails are more prone to chipping most - so don't be put off by that! 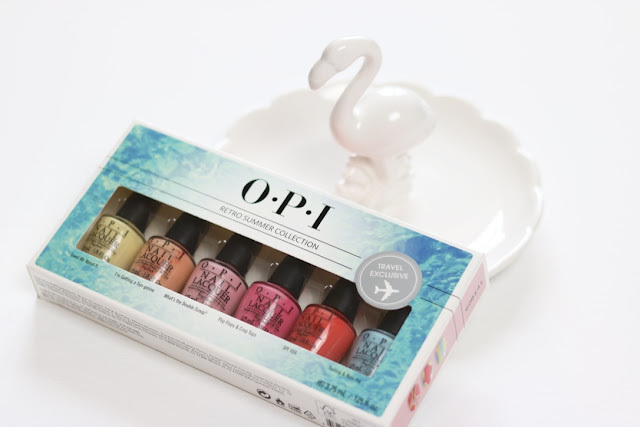 The varnish is really easy to apply, the formula is smooth and the brush is very handy. All in all, a lovely little set! That concludes my review of some of the Travel Exclusives at Duty Free! What do you think? Would you be tempted into buying any? This post contains press samples but all opinions are my own.